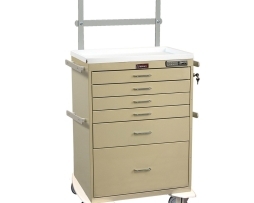 Harloff 6600 Classic Line Eight Drawer Standard Anesthesia Cart, Breakaway Lock, 100 Breakaway Seals, Standard Package, 6-3″ and 2-6″ Drawers. 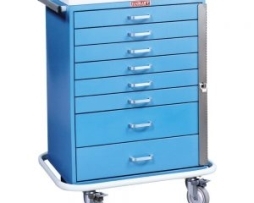 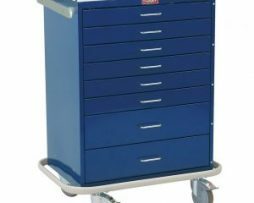 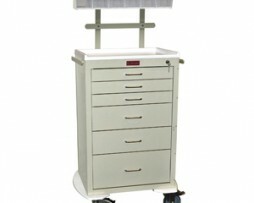 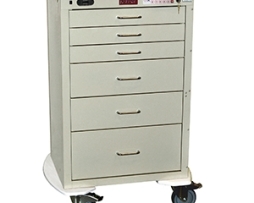 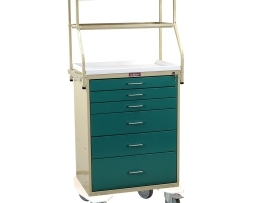 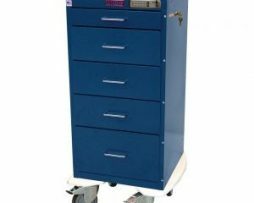 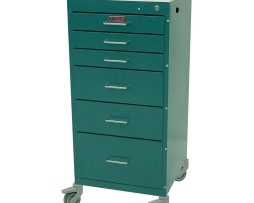 Harloff 6610 Classic Line Eight Drawer Standard Anesthesia Cart with Key lock, Standard Package, 6-3″ and 2-6″ Drawers. 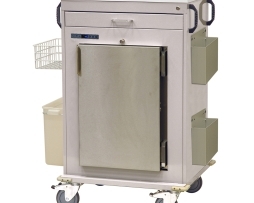 Harloff MH5300B Premium Large Malignant Hyperthermia Cart with Lab Quality Follett Refrigerator, 3-3″ storage drawers, BREAKAWAY LOCKS ON REFRIGERATOR AND DRAWERS. 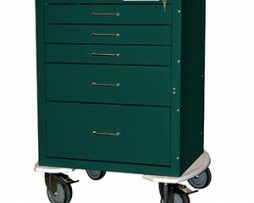 NO KEY LOCKS. Harloff MH5300K Premium Large Malignant Hyperthermia Cart with Lab Quality Follett Refrigerator, 3-3″ storage drawers, key locking drawers and refrigerator. 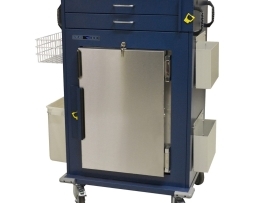 Harloff MH5200K Premium Large Malignant Hyperthermia Cart with Lab Quality Follett Refrigerator, 2 3″ storage drawers, Keylocking drawers and refrigerator. 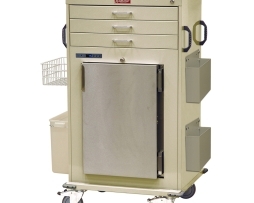 Harloff MH5200B Premium Large Malignant Hyperthermia Cart with Lab Quality Follett Refrigerator, 2 3″ storage drawers and BREAKAWAY LOCKS ON REFRIGERATOR AND DRAWERS. 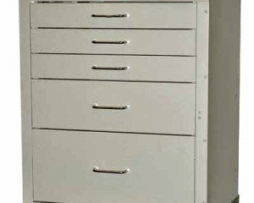 NO KEY LOCKS. Harloff MH5100K Hyperthermia Anesthesia Cart Laboratory Refrigerator with Lab Quality Follett Refrigerator, one 3″ storage drawer, Keylocking drawers and refrigerator, Replaces MH5100. 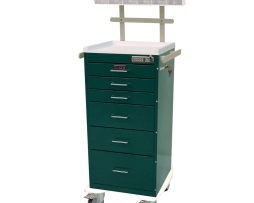 Harloff 4256K-ANS Mini24 Line Six Drawer Anesthesia Cart Key locking (Tall Cabinet); 3-3″, 2-6″, 1-9″ Drawers and Accessory Package: 2-Tier Raised Back Rail System, (2) Side Rails, and 6 Tilt Bin Organizer. 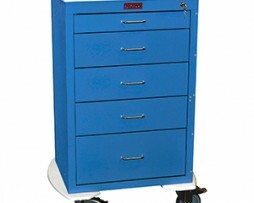 Includes Protective Pontoon Side Bumpers and 5″ casters. 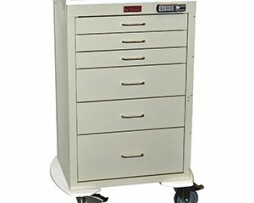 Harloff 4256EKC Mini24 6 Drawer Cart, ELECTRONIC Locking with Keypad, (Tall Cabinet); 3-3″, 2-6″, 1-9″ Drawers. 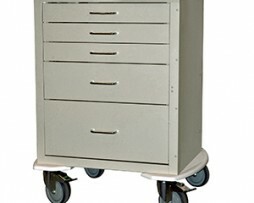 Includes Protective Pontoon Side Bumpers and 5″ casters.